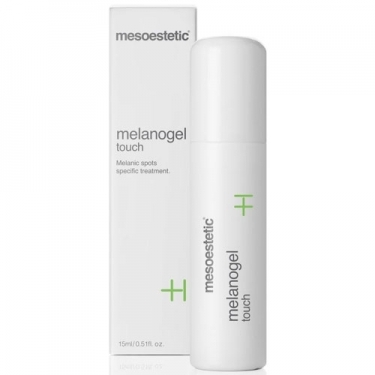 DESCRIPTION: Melanogel Touch from Mesoestetic is a punctual depigmenting treatment of spots of melanic origin. It acts by inhibiting the enzymatic mechanisms that produce melanin. Its presentation allows repeated applications throughout the day, maximizing the inhibitory effect of cutaneous hyperchromias. Apply 3 or 4 times a day directly on the pigmented lesion; It is imperative to complete the treatment with the application of moisturising sun protection or dermatological sun protection.